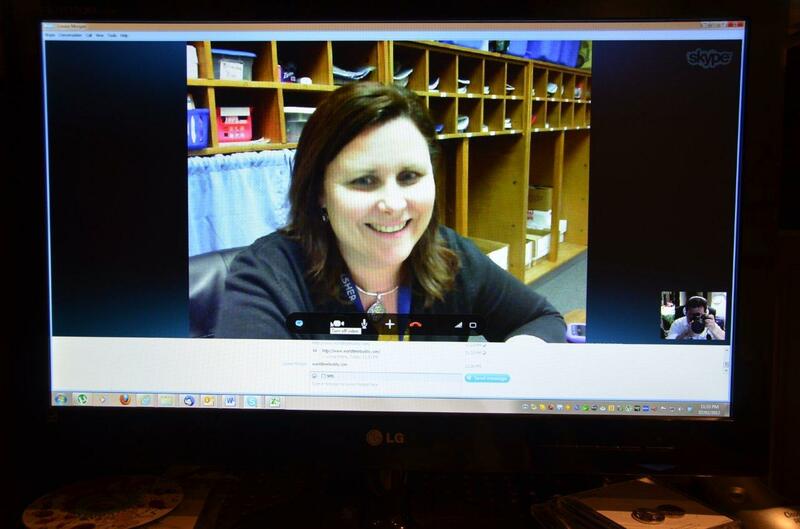 Louise Morgan: Flattening the classroom walls through Skype and more! Flattening the classroom walls through Skype and more! Since the beginning of the year, I have been working to incorporate technology into the classroom in many different ways. Blogging - We got started on this right away. The first few days on the portable laptop stations were quite challenging, but the payoff has been a classroom full of students who are motivated to write and post on their blogs on a weekly basis (more than I can say for myself ;-) Our blog is password protected, but we allow guest comments. The students are so proud when they get positive feedback on their work. Edmodo - We joined an Edmodo group through the Global Classroom. Students from all over share and ask questions about seasons, holidays, school, and their favorite things. This is a lot of fun and a nice extra for the kids to do in the computer lab or when they have free time in the classroom. Voicethread - Again, through the Global Classroom we joined the "Seasons Around the World" project and "Kids Speak". My students have enjoyed adding slides and their voices to the Voicethread and hearing kids from other places tell about themselves. Skype - I intended to start much earlier, but this week I finally unwrapped the webcam I received through DonorsChoose and hooked it up! I immediately called Ms. Naugle's class in New Orleans to make sure we had a good connection since I have signed up to Skype with her this coming Friday. We were so excited when she answered and we got to say hello to all of her students. When we join them again on Friday they will be teaching us about Mardi Gras. 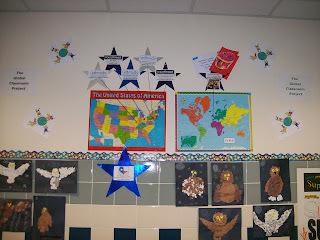 I have a feeling we will be adding a few more stars to our global project map now that we are Skyping. This afternoon I set up Skype sessions with Mr. S of Living Maths in Cape Town, S. Africa and another teacher in suburban Chicago. During these sessions, my students will be learning new things from students and teachers from far away places. How cool is that? Your class sounds like mine. My kids blog, use Edmodo and of course Skype with other classes. Isn't it a great time to be a teacher? I'm glad we were able to Skype this morning to make sure all is set for Friday. My students are so excited for the opportunity to connect and collaborate with your class and teach them about Mardi Gras. Have your camera ready to capture some shots. Hi. I really appreciate you for posting this kind of informative post. 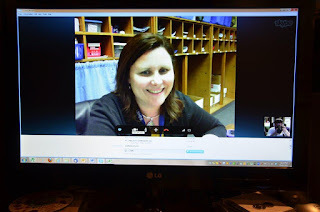 Being a Skype teacher, I am really glad to have Skype to use for teaching my students.